Exciting News: Scholarship Award Announcement! Have you ever dreamed of joining me in one of our hands-on photography workshops combined with an amazing trip to a spectacular setting, but the investment has been of reach? Or do you know someone who has this dream but not the resources to fulfill it? If so, here’s a chance to make that dream a reality for one deserving photographer! About 3 months ago, Anne and I were moved to tears when we heard that a workshop scholarship had been established in memory of my mother, who lost her battle with cancer in April. Members of the How to Photograph Your Life and Going Manual families, along with others, have contributed generously to this fund, allowing us to sponsor one person’s attendance at one of our fall workshops. Special thanks to Tara Mock for the idea and management of this thoughtful memorial and wonderful opportunity to benefit a member of our community! • You may submit your own application, and/or submit a nomination on behalf of someone you know who has a passion for photography, a desire to improve their skills, grow their confidence, and better capture the moments of their lives in photographs. 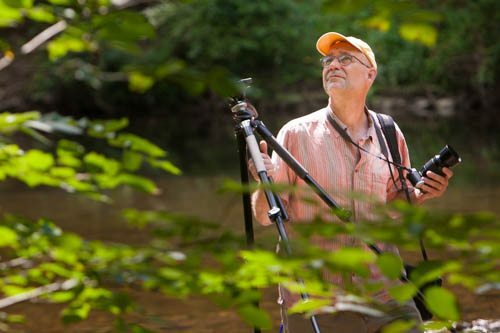 Why you or your nominee would like to attend a Nick Kelsh Photography Workshop? What you love about photography – what is your passion? What would you hope to learn at a Nick Kelsh Photography Workshop? Where you are in your photography journey and where you would like to go? • Deadline for all applications and nominations is Friday, August 31, 2018. • The Nick Kelsh Photography Workshops team will review the submissions and announce the scholarship recipient the following week … in time to make all necessary arrangements for the workshop. • The winner of The Joyce Kelsh Memorial Scholarship is expected to notify Workshop Coordinator Terryl Hicks of their choice of workshop (Santa Fe/Albuquerque 2018 or Philadelphia 2018) within one (1) week of your award notification. If you do not provide this notification within the week, the scholarship award will go to the runner-up. For me, personally, these workshops could possibly be the most exciting thing I’ve ever done in my career … working with a small group over a period of days may very well be the perfect teaching and learning format. A list of the great photographic experiences of my life would have to include some of these workshops. And this opportunity to provide someone with the experience – especially in memory of my mother – makes it even more special! P.S. Please share this post to help us spread the word about this special opportunity. Thanks!